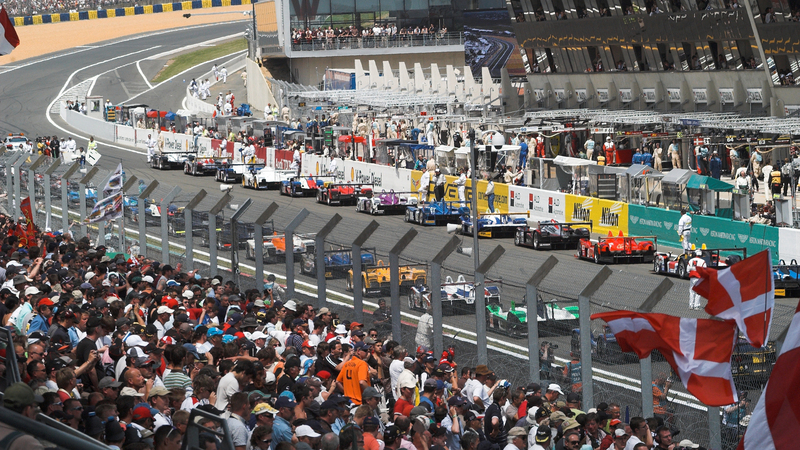 We are delighted to announce that we are now able to help forum members attend what is widely regarded as the biggest and best motor racing event in the world - THE 24 HOURS OF LE MANS! The full range of grandstand seats as an optional upgrade. Prices at the 4* campsite start at only £239 per person based on 4 people sharing a pitch and travelling via Dover/Calais. This includes your General Admission ticket and a FREE 'Beer & Pizza' evening at the campsite on Friday. We will do all we can to make sure forum members are allocated pitches next to each other. Alternatively if you want to treat yourself to a very indulgent Le Mans experience you can stay at this beautiful 18th century chateau. Luxuries such as champagne afternoon teas, 4 course dinners prepared with the best local and home grown ingredients, and gourmet picnic lunches to take to the circuit can also be provided by the British owners. Circuit transfers over the race weekend will be available from the 4* off circuit campsite and the chateau. Full details of the different options available are on this page of our website. Hi ian - Rikki here. Interested in chateau> can u bell me please? I'm full of cold so rather than you have to listen to me coughing and sneezing on the phone I've sent you an email. There are only 3 rooms available at the chateau so we'll need to act quickly to secure your place. I'll call you in a couple of days if you still want to have a chat. Hi mate. Decided if I go I'll camp rather tan chateau. But Ill be doing Monaco, SPa and LM classic in 2020! After months of silence (thanks to a Non Disclosure Agreement we had to sign) we can now reveal that the full story of how the chateau pictured above was transformed from a crumbling relic into somewhere recommended in the Sawday's guide will be featured in the new series of Channel 4's Escape to the Chateau DIY starting on 25 February. There are still 3 rooms available at the chateau for this year's 24 Hours of Le Mans. We are expecting these to be filled quickly after the chateau appears on Channel 4 so we recommend you contact us soon if you are thinking about making a booking. Details of all of the options available are on this page of our website.